Reform Judaism believes that the Torah was not written word for word by God. Rather, it is a humanly authored document inspired by God. Reform Jews do not believe in the direct observance of all of the laws, but they retain the values and ethics of Judaism overall. The exterior of Reform Congregation Oheb Sholom, in Wyomissing. 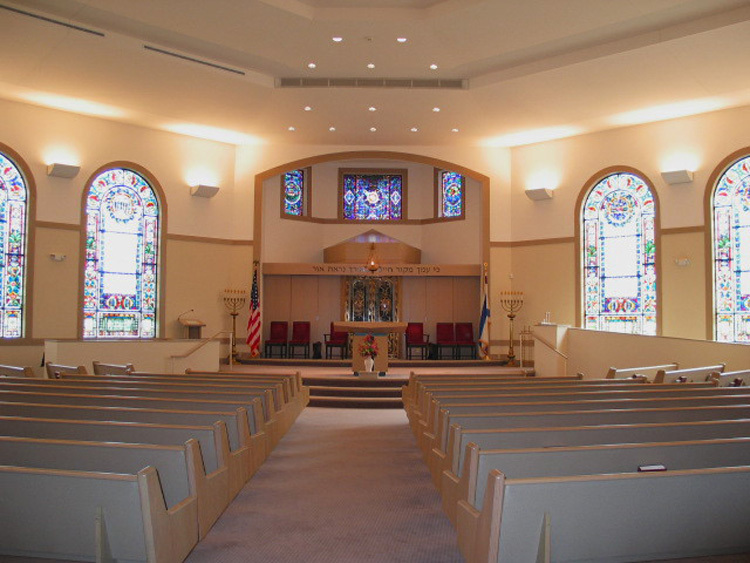 The sanctuary of Reform Congregation Oheb Sholom, in Wyomissing.